now this NZXT Phantom is a BIG Case. It needs a large desk to accommodate It. 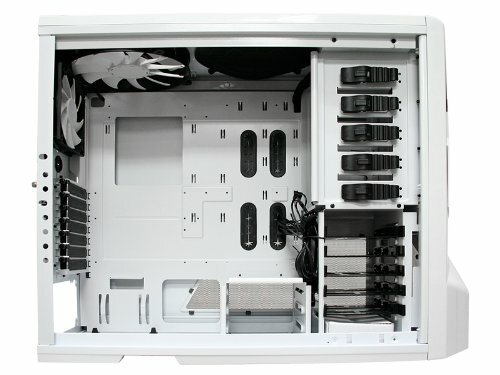 It has amazing airflow however, and allows for E-ATX motherboards. 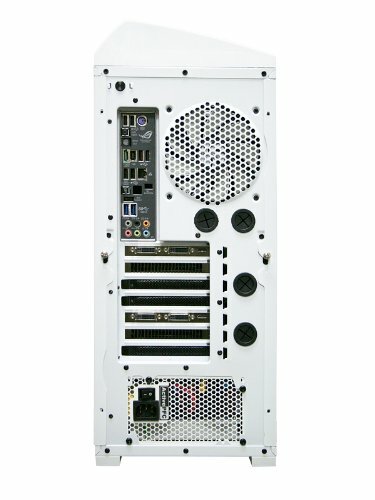 One copmlaint however I have is that it doesn't have 8 expansion slots in case someone wanted to have 4 way SLI or Crossfire. Absolutely love this case, its a simple design yet effective. This case makes cord management a whole lot easier. 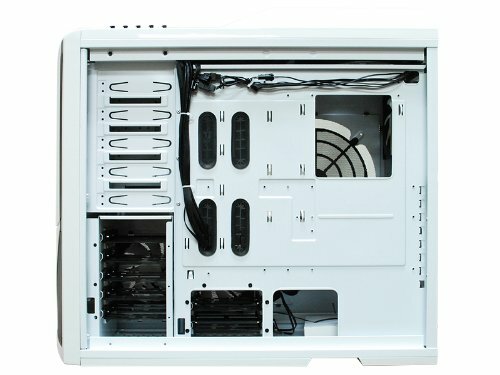 There are plenty of bays for your storage, and the simple fan control on the top of the case. It's a beautiful design, which makes it a fun visual accent piece in my living room, and it's got plenty of room for cable management. Even as a newb, I was able to efficiently utilize the grommets on the back and the roomy gap between the back panel of the interior and the side panel. There were some weird problems with fan placement in this case, but they were also really easy to solve. 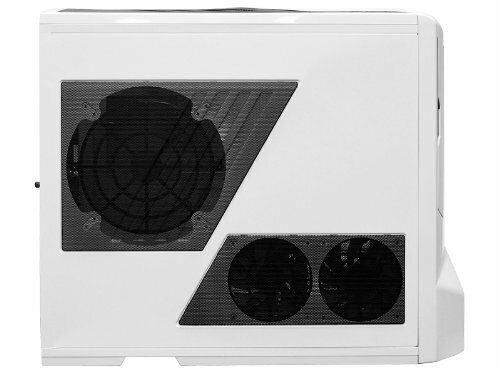 The 200mm fan on the top of the case is super in the way of a double 120mm radiator, but NZXT provides a bracket to mount the H100i v2 up against the 200mm fan in push-pull. I highly recommend getting an additional case fan or two to improve air intake. I have an additional 140mm under the optical drive bays, next to the HD trays, for air intake, but I could see putting 2 additional 200mm fans in, one exhaust on top and one intake on the side, and a second 140mm fan in the drive bay area. I'll add that the fan controller sliders on the top are a fantastic out-of-the-box feature.